Cannon Beach is a splendid place to visit all year long, but there’s something about fall that’s unique. Experience the scenic beauty of the Oregon Coast and enjoy the rich culture it offers! One of the highlights of the season is the Stormy Weather Arts Festival. Cannon Beach is known as one of America’s top art towns, and this popular event proves it. Marvel at amazing pieces, meet local artists, and listen to live music! Read on to learn everything you need to know and plan your visit today. 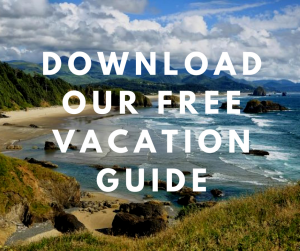 Don’t forget to download our free Vacation Guide for additional insight on the area. We’ll tell you where to find the best local restaurants, museums, shops, outdoor adventures, and more! Every year during the first weekend of November, Cannon Beach’s art community gathers to celebrate its diversity. The Stormy Weather Arts Festival has been around for over 30 years and attracts more and more people each year. You could be one of them! The festival features a wide range of visual and performing arts, and if you are an artist yourself, it’s an event you can’t miss. Meet artists and discuss their work, listen to local musicians, attend gallery events, and so much more! The Stormy Weather Art Festival is more than an artist gathering; it’s a fun event that appeals to everyone. Each year, the Coaster Theatre Playhouse hosts a spotlight concert to showcase accomplished and up-and-coming musicians. Kick off the festival weekend with a wonderful concert, then hop from gallery to gallery and enjoy a variety of receptions, artist demonstrations, and live performances. Other fun festival events include the Dancing in the Rain Fashion Show and Brews, Blues, & Barbecues. Fall is one of the most beautiful seasons in Cannon Beach, but not because of the sun. (Actually, it’s quite the contrary!) Storms are a common occurrence on the Oregon Coast during this time of year. If you want to go storm watching, Cannon Beach is the perfect spot. Watch Mother Nature unleash its rage while you snuggle up in a comfy blanket and unwind by the sea. 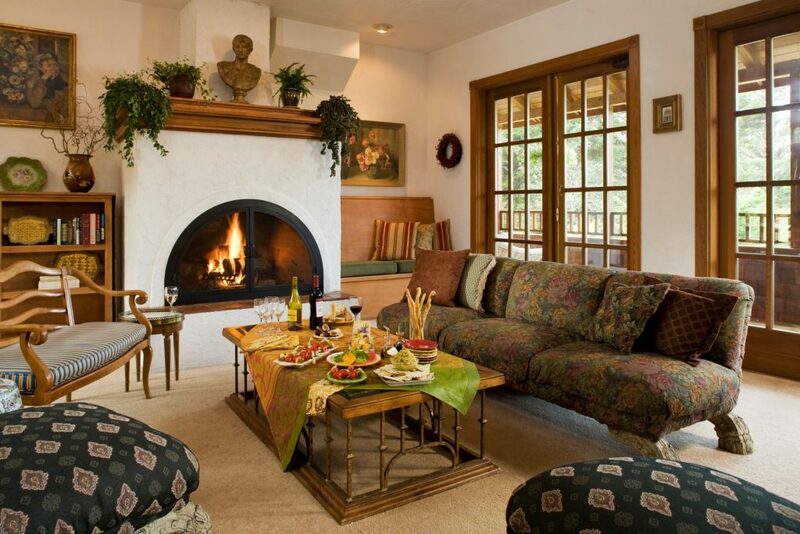 Now that you know about one of our favorite fall events, you need to find a place to stay! Arch Cape Inn is a gorgeous, French chateau-inspired B&B that offers an authentic Oregon Coast experience. You’ll enjoy a variety of modern comforts, elegant amenities, and high-end service. Browse our accommodations today! If art is your passion, you’ll definitely want to stay in our Gauguin Room. Immerse yourself in the tahiti environment inspired by the French artist, with framed prints on the walls and a gorgeous bathtub that opens up into the room. Curl up by the fireplace with a glass of wine, then get a good night’s sleep in the soft queen bed. When you wake up the next day, follow the smell of coffee downstairs where you’ll find a delicious, homemade breakfast waiting for you!